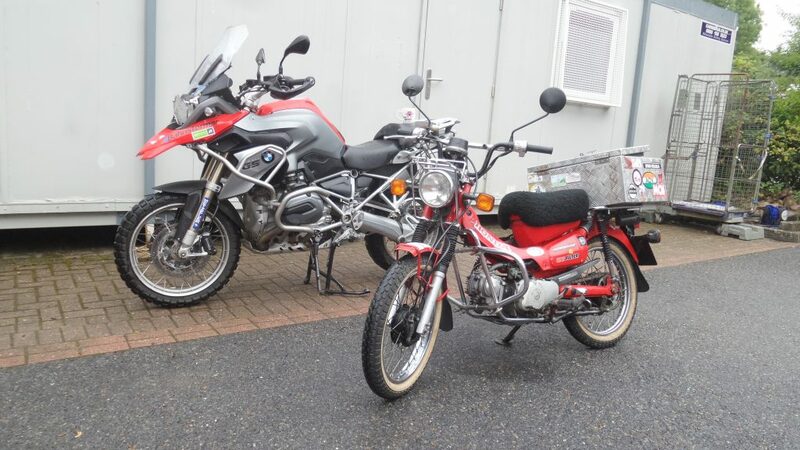 Home Bikes £8500…. on a bike, or on a trip? If you can afford the bike but not the trip then is it time to consider a cheaper bike? Both bikes, both capable of similar things just at slightly different paces. The big difference is in the price and cost of travel. So much importance is put on the bike we choose for our adventures, yet equally, so much comes down to our budget. 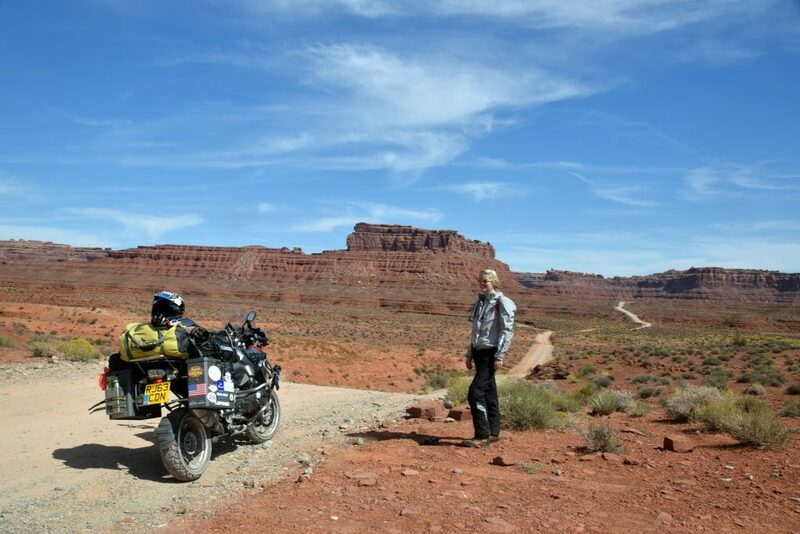 The question is, do you spend the money on the bike, or the money on the trip? 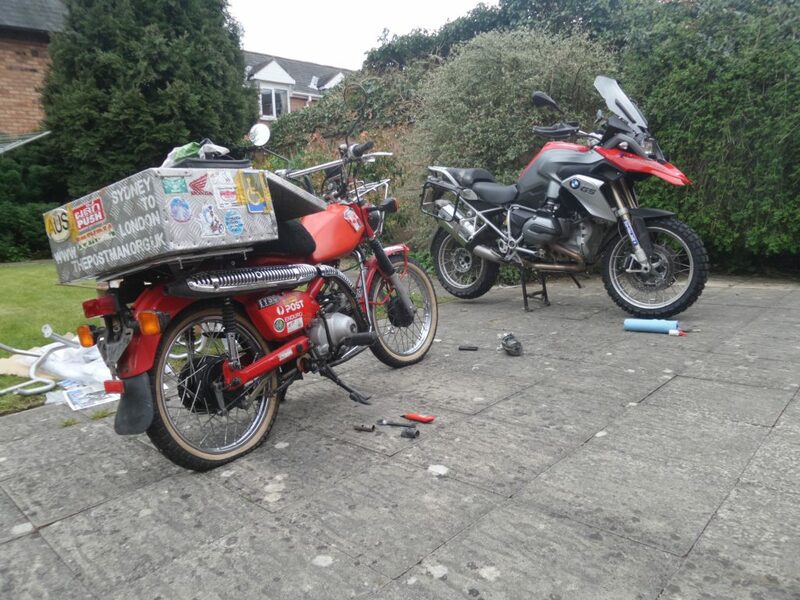 This was something I’d experienced from both sides, having spent roughly £8,500 riding for nine months and 23,000 miles from Sydney to London on a 105cc Australian postal bike. That sum included the cost of the bike (£1100), all travel documentation, the cost of doing the trip and all shipping along the way. It would have been difficult to have done it much cheaper. 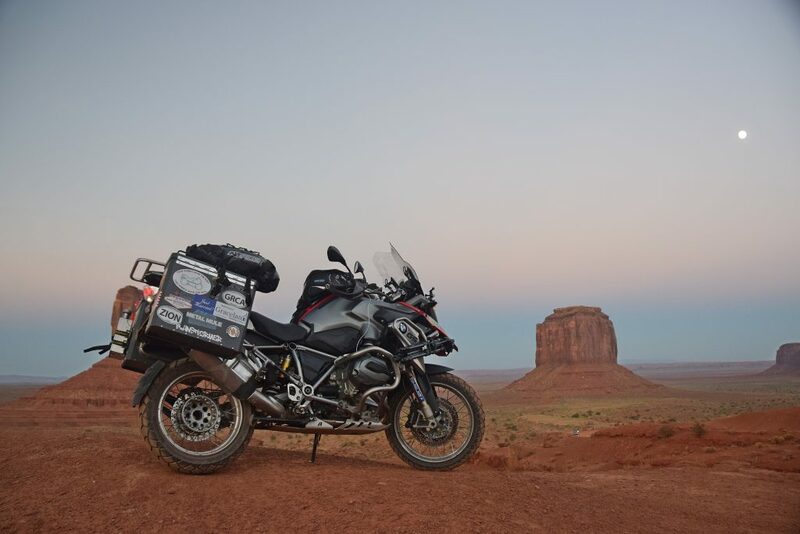 Several years after the trip I found myself spending the same amount of money on a 2014 model liquid cooled BMW R1200 GS. The two bikes couldn’t have been more different, and their values were at opposite ends of the spectrum. In many ways, the postie bike was the perfect vehicle for riding such a long distance. 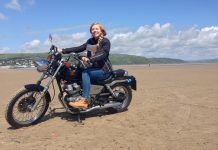 Its cheap price, small engine capacity and low weight meant that costs relating to shipping (where costs depend on weight), fuel economy, spares and repairs and documentation were all significantly lower for being on that bike. Both bikes proved reliable during ownership with neither leaving me stranded. The big difference is ease of fixing if things did go wrong. The CT110 is as simple as motorcycles get. 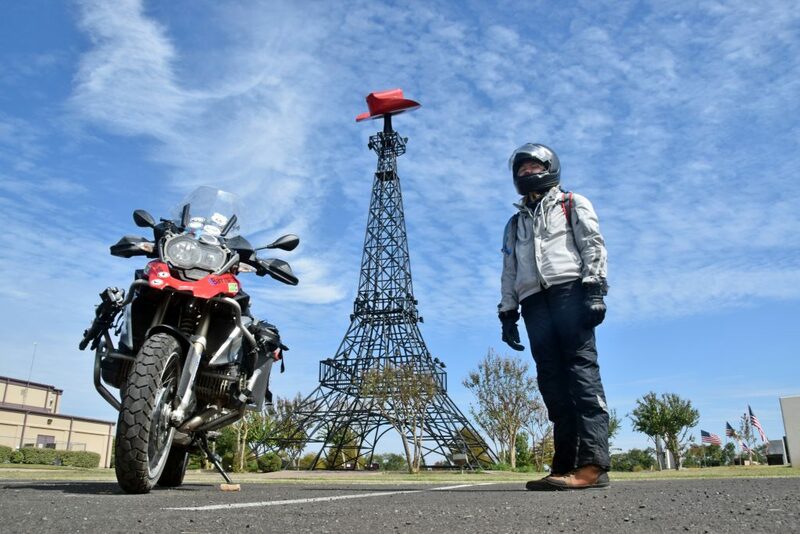 The Carnet de Passage for example – the document you need to take your bike across various global borders – is calculated as a percentage of a bike’s value. The cost of the Carnet for the postie bike was $950. For the BMW it would have been in the region of $5000. A huge difference. 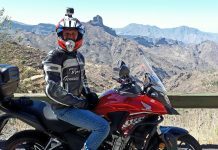 Then there’s difference in purchase price, fuel costs, spares, repairs and tyre costs, plus the realisation that on a global trip such as that your bike isn’t insured for theft or total loss, meaning that you have to be able to afford to write off the value of the bike should the worst happen. Taking everything into account, the same Sydney to London trip, by GS1200, would cost in the region of £25,000, and in many ways be made more complex by the dealing with any mechanical issues along the way, plus the added vulnerability of a bike of that value on a trip of that nature. 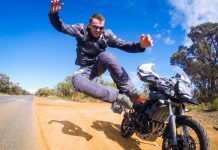 In the case of a trip the magnitude of Sydney to London, you would then – unless cost was of no concern – be much better off spending the money on the trip than you would on the bike. 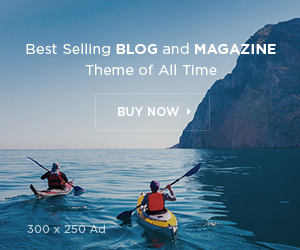 Not everyone however has the time, money, or inclination to go off on a big trip. 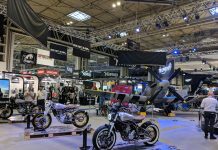 They might enjoy trips closer to home, perhaps two-up, and enjoy the engineering, speed and technology that goes with modern motorcycling. This is the argument for spending that sum of money on the bike and not necessarily the trip. Obviously the ideal is some sort of compromise; having a bike you enjoy as well as the time and money to use it on the trip you wish to do. People sniff at the GS1200 for being too heavy, complicated, unnecessary, but I thoroughly enjoyed the ownership of mine. The important thing is not to let the bike hold you back. If all your money is invested in a bike to the point of not having means to fund the trip you want to go on, then consider a cheaper bike. 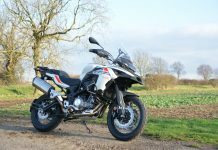 Equally, if you’re nervous of damaging or depreciating the value of the bike in getting out there and using it, then once again, consider changing it to something that better fits with your budget. The best adventure bike after all is the one you can afford to use. All in all I’ve enjoyed both bikes for different reasons. 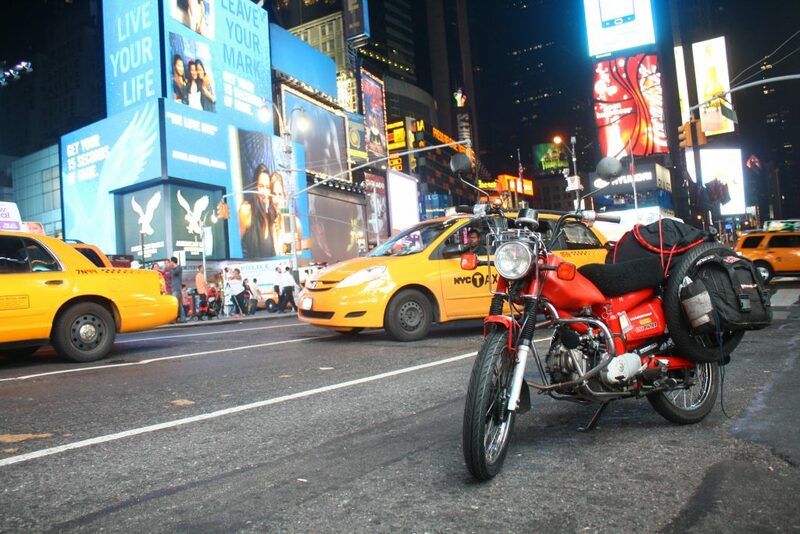 The CT110 enabled me to do a trip of a lifetime at a price that I could afford. It was cheap, reliable and manageable. 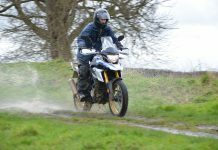 Back at home, where the little Honda becomes too slow and restrictive for daily UK use, the R1200 GS equally finds its role. It’s a bike that’s good on motorways, light trails, two-up touring and also enjoyable to ride on a daily basis. It’s taken me and my wife across America and around Iceland. It’s done things the postie bike could never do. Were I to ride back to Australia tomorrow I would take the option in the middle. A bike with a bit more power and luggage capacity, one that was still cheap to buy and cheap to run, and one that I still got enjoyment from riding. Possibly an older single cylinder 600cc would fit the bill, or, more likely given the miles already covered on it, the Royal Enfield Himalayan, which you could buy and take for a year around the world for the same price as a brand new R1250GS. Ultimately, it’s about not allowing a bike to dictate the trip. You’re in charge, not the bike. 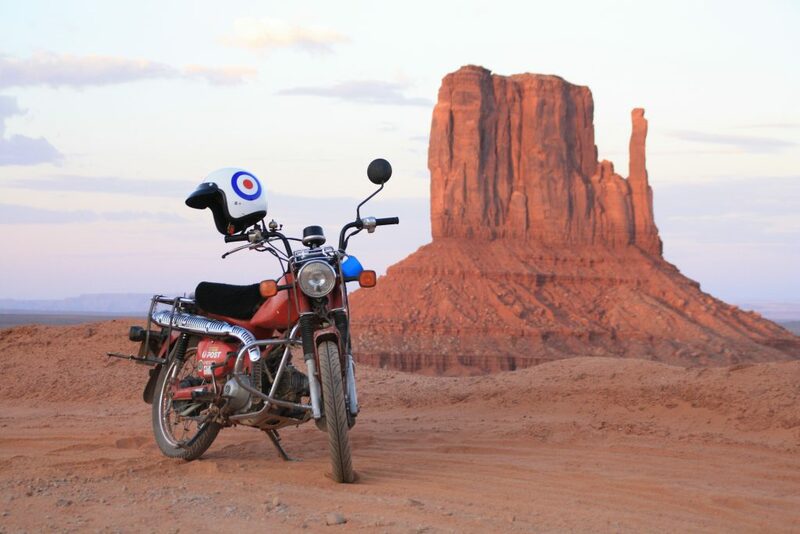 Simple tech, simple travel; seen here at the midway point across America in Monument Valley. 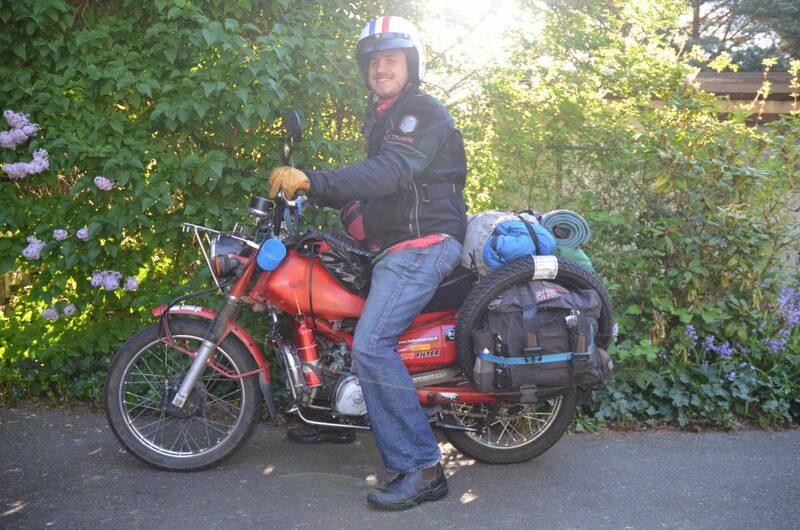 Low cost of bike, plus low speed, equals a much cheaper approach to travelling all round, with cheap biking gear, cheap panniers and a cheaper more frugal trip, although there’s nothing to stop you approaching the GS in the same way. 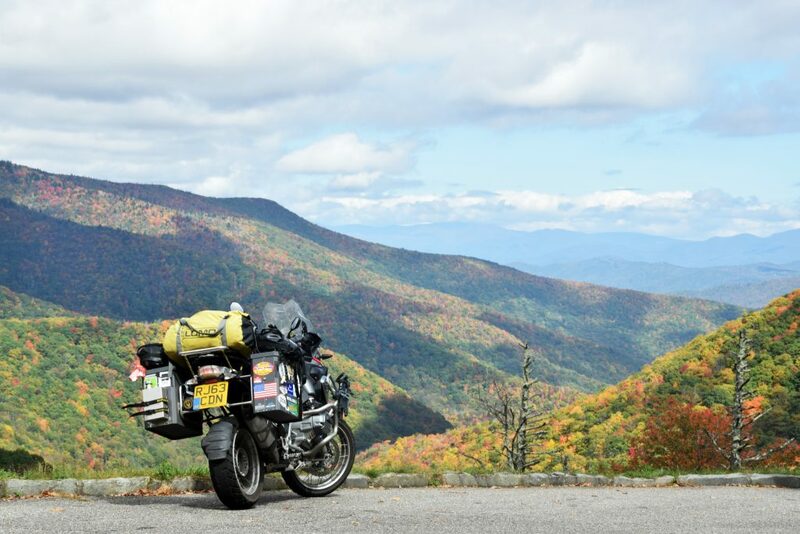 It cost just a bit over £500 to ride the CT coast to coast across America. There’s no reason you couldn’t go it for a similar cost on the GS once additional fuel costs have been taken into account. It’s the costs associated with shipping, Carnets and servicing that pump up the price when travelling on more expensive machines. The CT110 was less more bashed up than most bikes in India, so didn’t attract too much attention, but on a foreign bike you’re still going to get lots of attention when you stop; expensive bike or cheap. 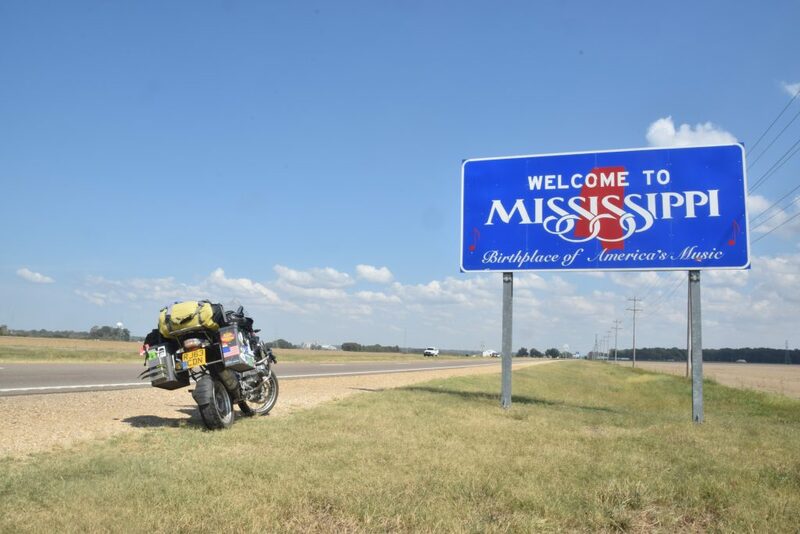 Two up across America the GS came into its own. All day comfortable, carried the luggage and was still exciting to ride. They sell for a reason. Mechanically sound, despite being an ex off road skills bike. It’s just the complication if things do go wrong that would put me off doing a global trip, unless I was sufficiently well healed. At the end of the day a bike’s a bike; all are capable of taking somewhere new. 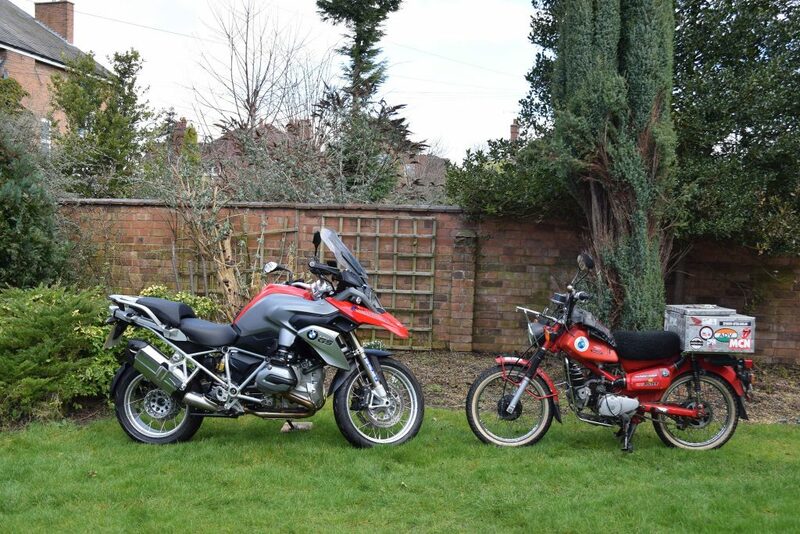 One big difference with the GS was the cost of servicing, which obviously dwarfed service costs of the CT. The big GS suited two up travel better than it did solo where it could be considered overkill. On a solo trip to Iceland something smaller and more manageable would have been preferred. Sad to see the GS1200; sold after the trip across Iceland simply because it stood me too much money. The problem possibly was buying a bike that was beyond my means. enable this kind of free-spiritedness, it’s often where a lot of the industries routes start to grow.